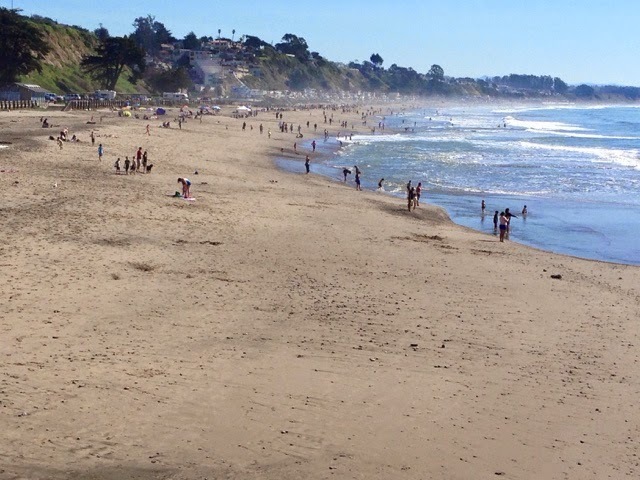 Today was a beach day with temperatures in the 70's. 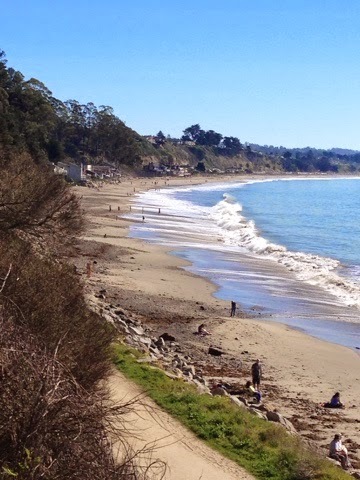 We drove to New Brighton Beach State Park just south of Santa Cruz. 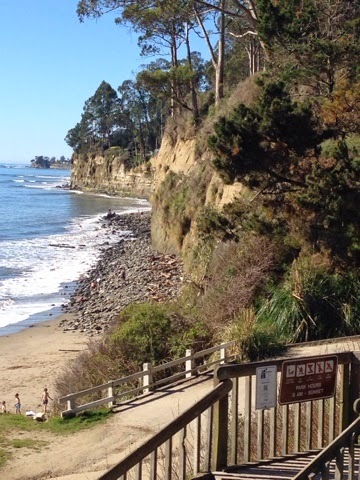 This beach is accessed from cliffs and stairs. There is a campground at this State Park that is booked every weekend between now through September. This is an indicator how popular the park is. Looking south along the beach it is early and just warming so the people are just showing up. 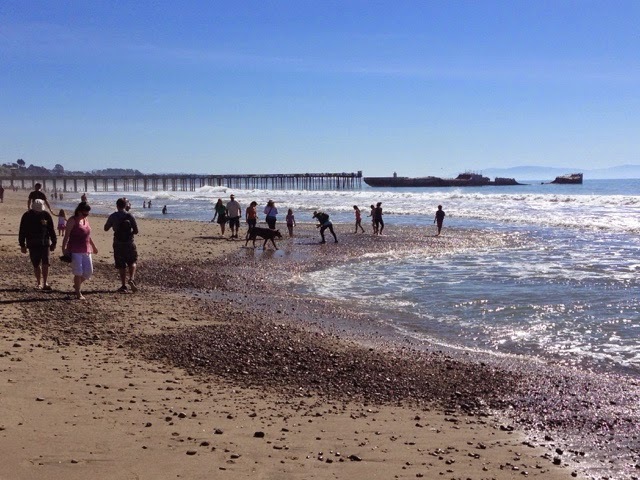 Rock collecting is very popular as there are so many types and color of rocks. 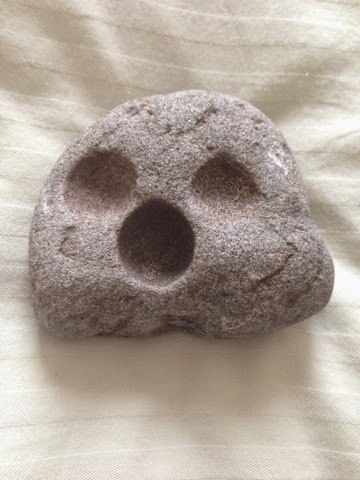 This is the face rock. 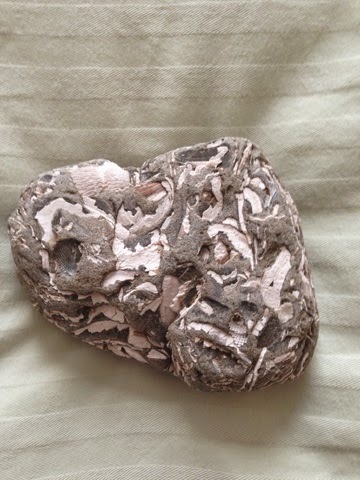 This is a rock that encapsulated shells so many years ago. 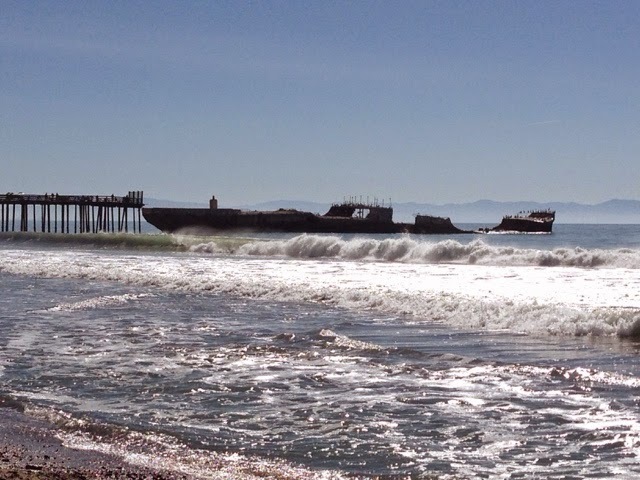 There is a ship that is grounded at the end of the pier at Seacliff State Park. 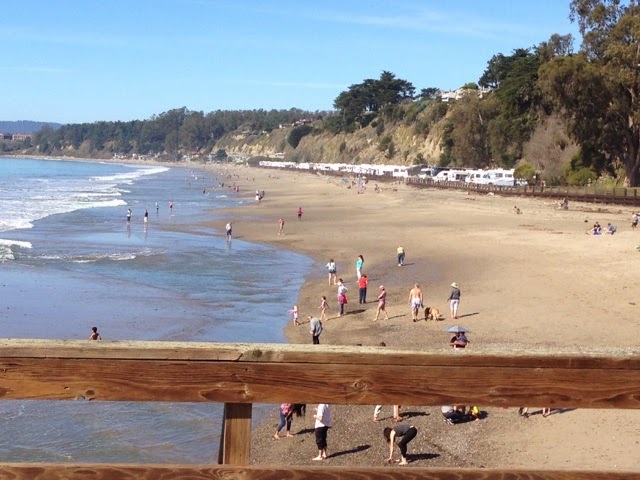 Looking north from the pier you can see a row of RV coming spots at the Seacliff State Park. Looking south more beach. 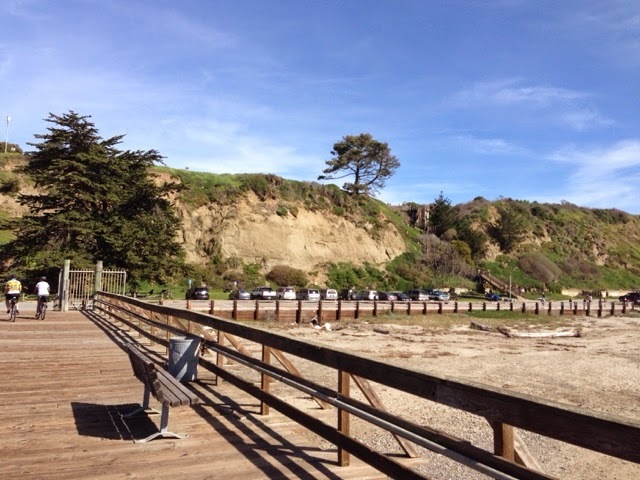 Because of State Parks there are plenty of bathrooms along the beach. The fee to get in is $10 as a senior we paid $9. 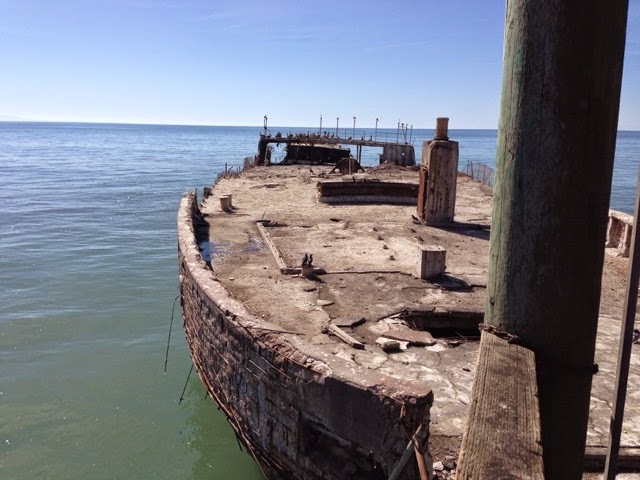 At the end of the ward is this concrete ship that is sunken. The sunken concrete ship was deliberately sunk in an attempt to create an amusement. See the following link for details. 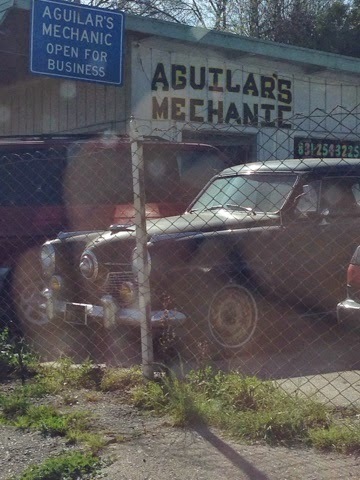 On the way back to the Highway I noticed this Studebaker sitting behind this fence. Last year I visited the Studebaker Museum in Indiana. 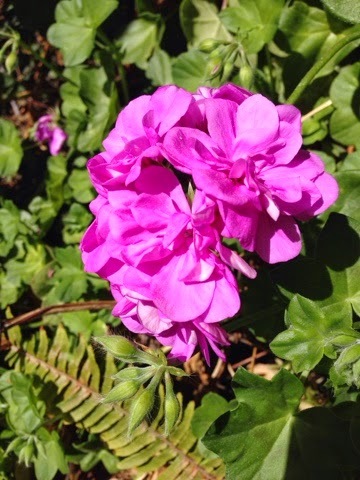 Here is a bit of spring for those suffering from a long winter.